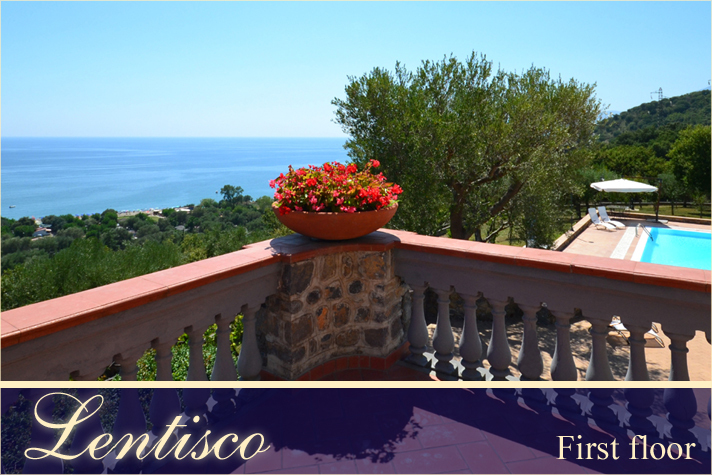 Le Cannicelle is a modern, three-storey villa built in a traditional style, set 124 feet above sea level with stunning views stretching for miles along the Cilento coast. 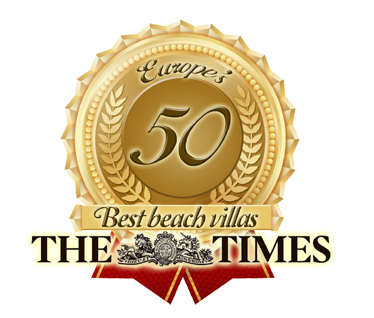 The villa is comfortably furnished in a contemporary style and each level is self-contained making it ideal for larger groups. Outside there is ample space for everyone to come together and enjoy the stunning sea views from one of the many terraces, lounge in the shade of a huge Mediterranean oak tree, soak up the sun around the pool, or enjoy a meal on the rustic ‘taverna’ dining terrace. Positioned on the ground floor, its main entrance is from the garden. The living room is large, bright with great views of the sea from windows and balconies. There is a working fireplace, perfect for those who wish to stay also in the colder months! In the morning, after a good sleep, guests on the first floor can choose how to start their day – either on the kitchen terrace looking out over the hillside, enjoying the view of the orgiastic chromatics of the Mediterranean flora (macchia mediterranea), or, still sleepy, taking a stroll on the big terrace and admiring the glittering seascape of the huge Policastro bay, from the coastline to the horizon. “Mirto” is positioned on the top floor. 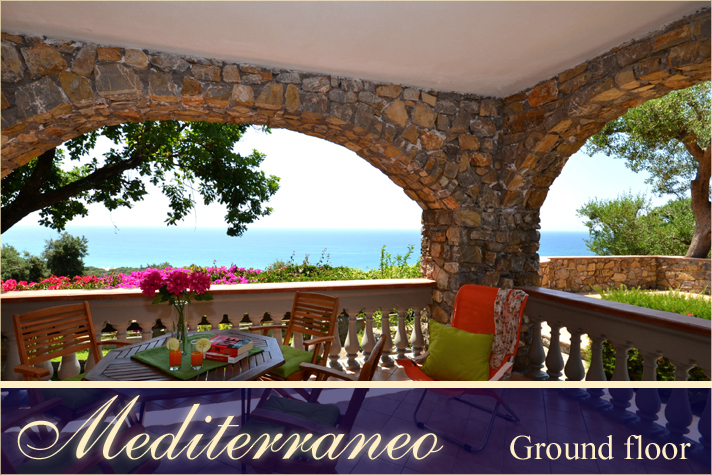 Its strategic balcony commands superb views of the enchanting Mediterranean panorama. From here gaze will sweep across the entire Policastro bay; while sipping the first coffee of the morning guests can abandon themeself to its seductive charms. 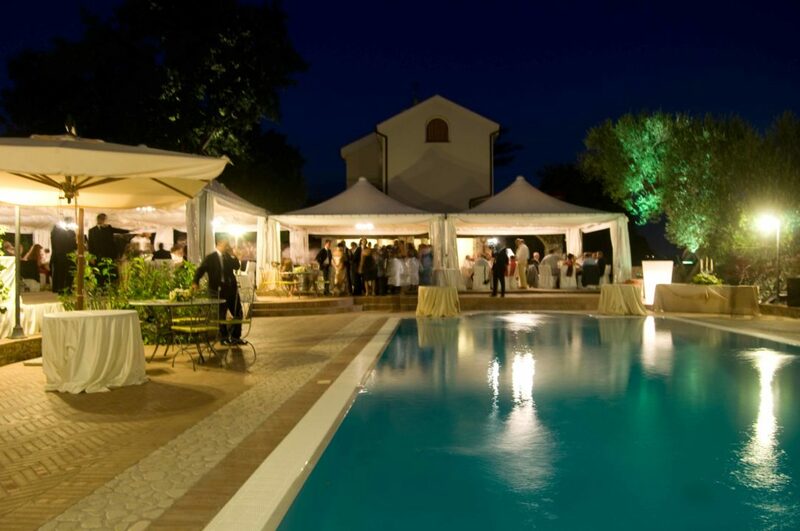 Welcome to the photo gallery of Le Cannicelle – Villa Mediterranea. 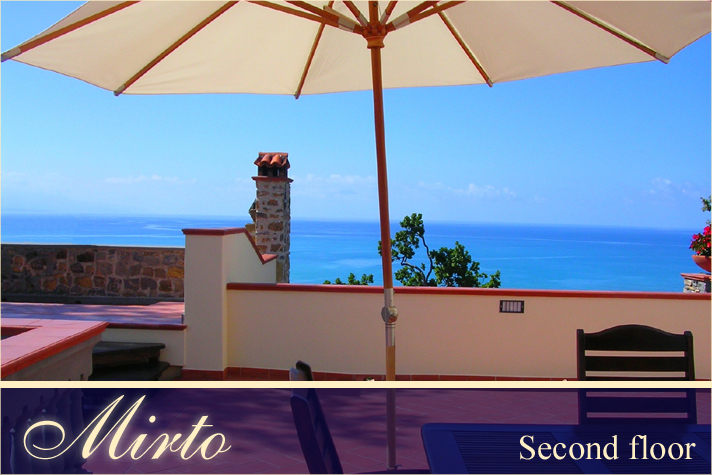 Take a look through our gallery and enjoy some beautiful glimpse of the this typical Mediterranean beach villa. The National Park of Cilento and Vallo di Diano comprises most of the southern area of the Salerno province. It is the second largest Italian national park (about 180.000 hectares/695 sq miles) and one of the most important ecosystems of the peninsula. Established on December 1991, the Park includes 80 municipalities in an area of outstanding natural beauty. There are at least 1.800 plant species, many of them endemic or rare such as the Palinuro primrose, the emblem of the Park, and the wild orchid of San Giovanni a Piro. Centuries-old olive trees dot the sparse coastal lowlands and the gentle hillsides. Hundreds of animal species, such as the Apennine wolf, the hawk, the eagle and the otter inhabit this extraordinary natural environment.